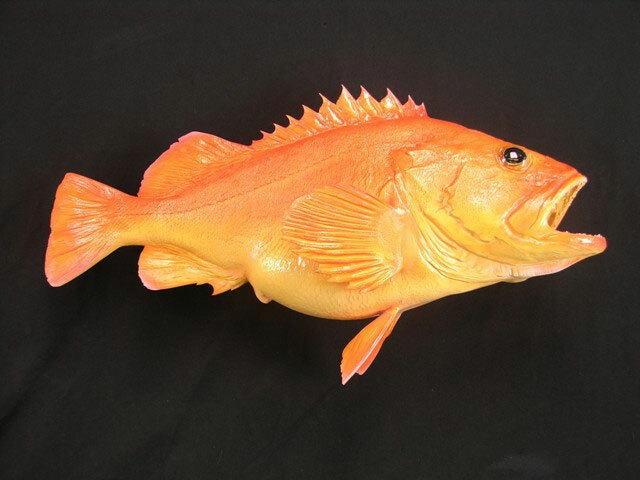 The Yelloweye rockfish (Sebastes ruberrimus) is a rockfish of the genus Sebastes, and one of the biggest members of the genus. Its name derives from its coloration. It is also locally known as “red snapper”, not to be confused with the warm-water red snapper that formally carries the name. The Yelloweye is one of the world’s longest-lived fish species and is cited to live to a maximum of 114 to 120 years of age. As they grow older, they change in color, from reddish in youth, to bright orange in adulthood, to pale yellow in old age. Yelloweye live in rocky areas and feed on small fish and other rockfish. They reside in the East Pacific and range from Baja California to Prince William Sound in Alaska. 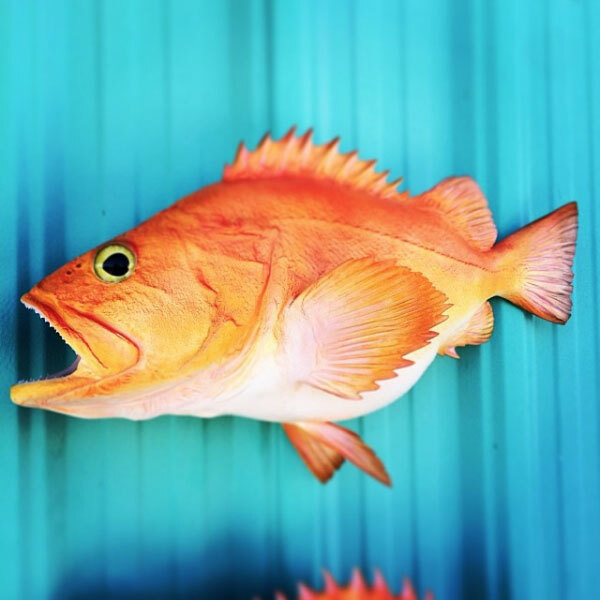 Yelloweye rockfish are prized for their meat and were declared overfished in 2002, at which time a survey determined that their population, which had been in decline since the 1980s, was just 7-13% of numbers before commercial fishing of the species began. Because of the slow reproductive age of the species, recovery of the species is difficult, and liable to last decades, even with the harshest restrictions; Washington state, for example, maintains a quota of under 1000 individuals per year. It is currently under consideration for listing under Threatened or Endangered status.